Share your favorite Christmas movie to watch. 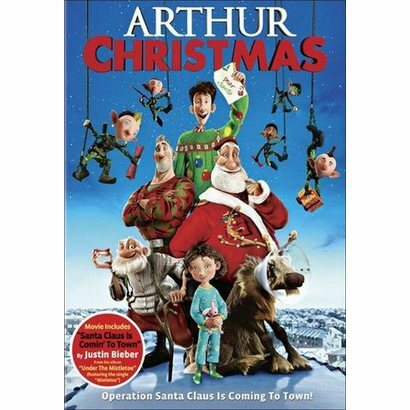 Last night, Max chose the movie...we watched Arthur's Christmas. Emma is up next... fa! la! la! I'm printing off Christmas resources as we speak!!! My parents have a ton of Christmas movies, so I've seen a bunch. i would have to say my favorites are Christmas Vacation (totally inappropriate, but so funny) and Elf. We love watching the Santa Clause movies with Tim Allen. I love Christmas Vacation, but if you want a great kids' movie, you can't go wrong with Prancer. I love it! We're big Elf fans at my house. My all time favorite Christmas movie is "March of the Wooden Soldiers" but they don't televise it anymore so I haven't seen it in years! In a close second I love "The Year without a Santa Claus"
Prep and Landing! We have it saved on our Tivo for 3 years now! I love watching ELF! It is so funny! The Polar Express is my favorite!! My husband gets cheesy the day after Thanksgiving and begins watching Christmas movies on the hallmark channel. Even though they are so sappy we find ourselves all cuddled up on the couch watching them together. I don't think I have a favorite, I just loving snuggling my kids! I'm loving all these Freebies!!! YIPPEE. My fav. christmas movie and The Grinch (old school) cartoon. LOVE IT! It's not Christmas until I've seen the Peanuts gang in A Charlie Brown Christmas. I also have to watch Jim Carey in The Grinch and I have to see White Christmas. It has to be Christmas with the Kranks! So cheesy but funny! The Grinch and the Christmas Carol. Annabelle's Wish touches me everytime I watch it. This is a hard one! For myself and my family, it is Christmas Vacation! lol. But, I am in love with the new precious Elf On the Shelf movie! This is my favorite time of year and I love, love, love to watch Christmas movies! Have a great Monday! It won't be long now! We can do this! We are super teachers! As a family we always watch national lampoon.... Hilarious. My other essential Christmas movies are Elf, The Grinch, Four Christmases, and The Holiday. I also just bought New Year's Eve on DVD so I'll that to the line up, I think! Thanks for all the freebies each day, I feel like a winner already! 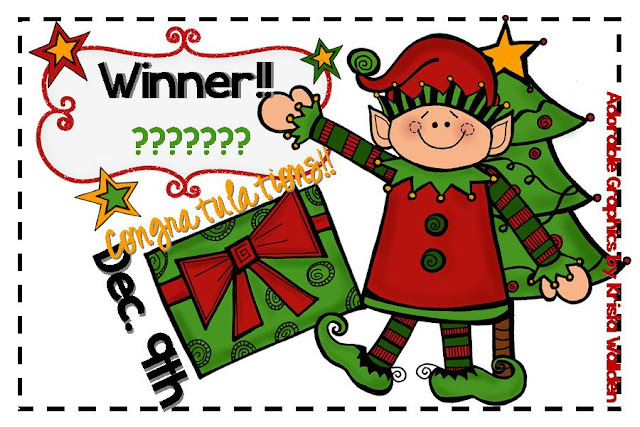 Even though I was already a winner (so please don't pick me again...share the wealth with someone else) I want to share...I've been holding off, but I couldn't resist sharing my favorite movies--I love the cartoon Grinch but also enjoy A Christmas Story, Scrooged and Christmas Vacation. Those are a must for me during the holiday season! Thanks for all your freebies! I love the old made for TV movie Smoky Mountain Christmas and the old movie The Desk Set. Have fun! Oh my goodness. I loved Arther Christmas when we saw it in the theater. I'll have to buy it to add to my annual Christmas movie watching while I'm making Christmas gifts. Included in my annual movie fest is Polar Express, Elf, and one of the Christmas Carol versions. t's just not Christmas without Buddy the Elf. A year ago today we were in New York City staying right by the Empire State Building. We missed our kids so much, and my husband was the nerd of all nerds and reenacted Buddy on the elevators lighting up the lights and also Buddy in the revolving doors! Our kids thought he was the best dad in the world when we showed them the video footage! We love that movie! There are so many great movies - I love It's a Wonderful Life, Charlie Brown, The Grinch (cartoon is my fav), and The Polar Express. Oh yeah, and Christmas Vacation too. Thank you for all of the festive freebies and for putting together this fun activity! The Christmas Box is my favorite Christmas movie. It is beginning to look like Christmas in Wisconsin today. My favorite Christmas movie is White Christmas! Love the singing and dancing! We saw The Nativity Story in theaters a couple of years ago. LOVED IT. ELF! or A Christmas Story! I like so many it's hard to choose a favorite. My son really enjoyed Elf this year and that was a lot of fun to watch it with him. I'd have to say it's my favorite this year! I like to watch Home Alone. It's a family favorite. There are so many fabulous Christmas movies. My favorite is "Christmas in Connecticut" with Barbara Stanwyck. Love it!! "A Christmas Carol" with Patrick Stewart is our family favorite. My favorite Christmas movie is How the Grinch Stole Christmas. I love his dog Max!!! It's a Wonderful Life! A classic but a I love it! My favorite is Santa and Pete. The Polar Express is my favorite Christmas movie! However I still think the book is better. LOL! Miracle on 34th Street is my all time favorite!